We also sponsor club giving. You may wish to join one of our clubs and give under that particular club. Listed below are our giving clubs. You can read all about each club. If you are interested in joining one of our giving clubs, please sign up and select the club you wish to join. All monies from these clubs support our Water Into Wine Pantry. to give back to their community through our giving program. This is a monthly gift of $250 paid monthly or annually. 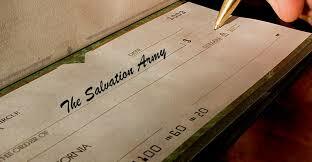 Please complete the form to commit to this giving. Our Harvester's Club is for organizations such as churches, civic groups, or individuals who would like to give back to their community. This is a monthly gift program of $100 paid monthly or annually. Please complete the form to commit to this giving. 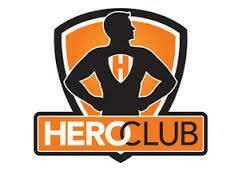 Our Hero's Giving Club are for individuals, small organizations that would like to commit to giving back to their community. This Club is designed for those who donate $50 per month to the food bank. This $50 a month commitment can be paid monthly or annually. Our helping hands club is designed for those who do not wish to make a monthly financial commitment, but do wish to contribute. You may also use our link to donate. Our Friends of the Pantry Club are for individual gifts that do not stretch the budget for those wanting to give back to the community. This Club is designed for those wishing to commit to donating $25 per month to the food pantry. This can be paid monthly or annually.